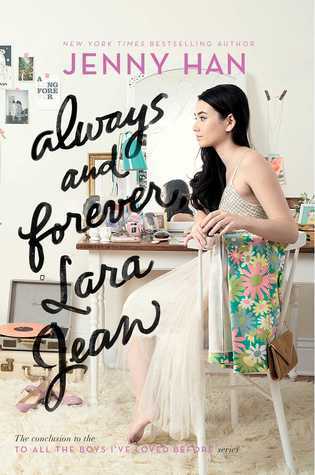 Goodreads Synopsis: Lara Jean is having the best senior year a girl could ever hope for. She is head over heels in love with her boyfriend, Peter; her dad’s finally getting remarried to their next door neighbor, Ms. Rothschild; and Margot’s coming home for the summer just in time for the wedding. Review: This story, like all the others in the series was so cute and I highly recommend it for a young adult. I really connected with Lara Jean. Probably because in high school I was Lara Jean. I didn’t go to parties, I stayed home and read or baked and it wasn’t until my former boyfriend in high school (a Peter in his own way) that I started to “fit” in another crowd. I also remember the choosing of college days, where you never knew where you were going to go and how that would impact your personal life. I enjoyed this story because it was so relatable. In fact, that whole series was relatable but this one really resonated with me. It’s about believing in yourself, it’s about making the right choice for you not for everyone else that was really powerful. Anyone on their way to college in a year or so really should read this entire series. Secretly, I hope for one more story — maybe Lara Jean in college?! ?